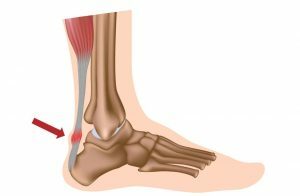 The Achilles tendon can be damaged due to overloading during the propulsive phase of the gait cycle. It can be damaged in almost all sports which involve running like marathon running, football, badminton etc. After injury any body part needs rest to recover but in case of Achilles complete rest is not possible, because during simple walking also Achilles tendon is going to work. the Achilles tendon has the poor blood supply, which also one of the reasons for delayed healing. Pain over tendon during activity. Sometime pain may be felt after activity because due to reactive loss of sensitivity. In it Ultrasound and IFT can be used effectively. In taping kinesio tape is a most advanced form of taping, which is elastic and water resistance in nature. So it is a choice of tape for sports players. Wallman’s and Alfredon regimes are now most commonly used treatment for it. In next article, we will discuss it in detail. It is a common and very useful for the rehabilitation of Achilles tendinopathy. After the initial 5-10 min, a warm-up patient will do a calf raise exercise progressed by increasing the load and speed of eccentric lowering. Bilateral Straight leg hill raise. Then put the toes down of injured leg down and lower both legs slowly and alternatively. Increase the lowering speed to 2 seconds, and to 1 second. Do both legs lowering together. Progress to the uninjured leg alone during the raising phase and the injured leg alone lowering. Progress to both legs during the raising phase and the injured leg alone lowering. Finally, lowering and raising only with the injured leg.